Councils across the islands have been working on a series of proposals since 2017, which will “transform” their economies by generating 600 jobs and unlocking as much as £200 million in public and private funding. A total of 10 projects, including digital connectivity, housing, low-carbon energy and tourism, have been identified among the main beneficiaries of the potential scheme. It follows a number of packages financed by the UK and Scottish Governments in recent years, including the £250m Aberdeen City and £135m Inverness and Highland city region deals. The three island MSPs – Liam McArthur, Tavish Scott and Alasdair Allan – have jointly sponsored a reception at the Scottish Parliament where they discussed how the deal could change lives. They were joined by Islands Deal programme director David Amos, Islands Minister Paul Wheelhouse and other Scottish cabinet officials. Last year Finance Secretary Derek Mackay revealed he was hopeful a deal could be struck imminently. 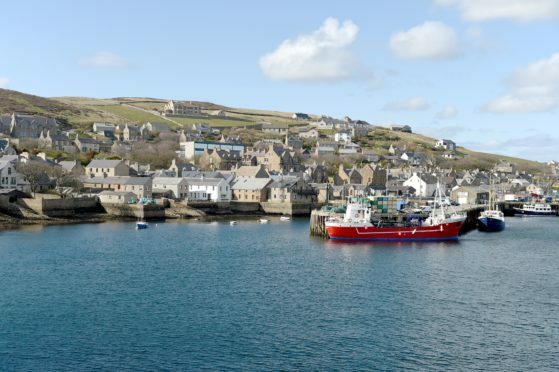 An updated batch of formal proposals for the Islands Deal is expected to be submitted to the Scottish and UK governments later this month. Last night Mr McArthur, Mr Scott and Mr Allan issued a joint statement and said: “We were delighted to co-sponsor this event which championed the assets the isles have to offer. “Islanders have the desire and skills to come up with solutions to pressing social, economic and environmental challenges that will benefit not just the isles but the rest of Scotland and beyond. “Strategic investment in world leading projects already based in the isles and support for future innovation will more than pay for itself.